Photo courtesy of Wilson Daniels. Trade marketing is an essential part of the promotional equation for brands, distributors, and regional organizations seeking to increase their share of retail shelf space and on-premise menu placements. These sponsor companies are on a continual quest to optimize their return on investment for trade activations, looking for ever more innovative ways to engage and entice buyers while staying mindful of the bottom line. But with countless trade events to choose from, attracting the right crowd and creating a successful event is tougher than ever. 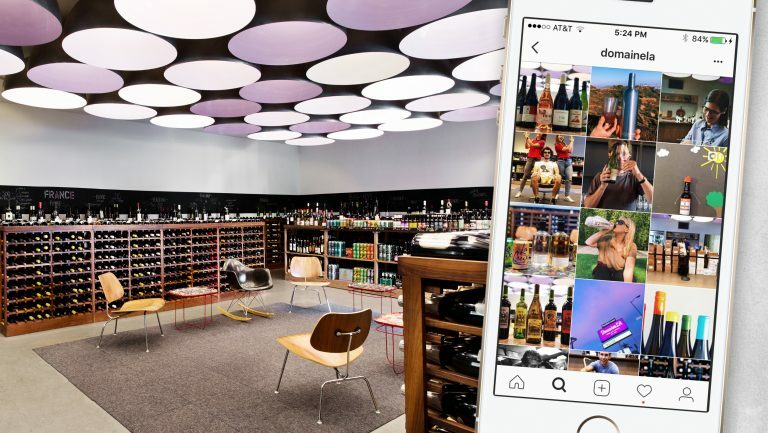 SevenFifty Daily spoke with wine and spirits companies, trade consortiums, and event organizers to better understand how to create compelling activations that deliver measurable returns. Blind-tasting competitions are popular as brand-marketing activations, as they’re inexpensive for participants to enter (around $85 for many regional contests, and up to $250 for prestigious international panels) and tend to garner tangible proof-points like scores and quotes that can be put on the bottle, on brand and retail websites, and on store shelf-talkers. Take Barefoot Wines: A 750 ml bottle costs around $5.50 retail, and Barefoot is the top-selling off-premise table-wine brand in the country, earning $667 million in the past year, as of January 2018, according to the data and analytics company IRI. The brand also boasts an awards-related accolade. “Barefoot is honored to be the most-awarded wine brand in U.S. competitions,” says Jen Wall, the head winemaker for Barefoot Cellars, which is based in Modesto, California, and owned by E.&J. Gallo. To convince consumers of the brand’s quality, Barefoot puts “award medallions on the front of our bottles,” says Wall, “to let new fans know we are a wine they can trust.” And for retail buyers, that translates into shelf talkers they can use to boost their stores’ sales. Further, getting an official medal or rating from a prestigious wine competition isn’t quite the Olympic feat casual observers—consumers—might assume it to be. 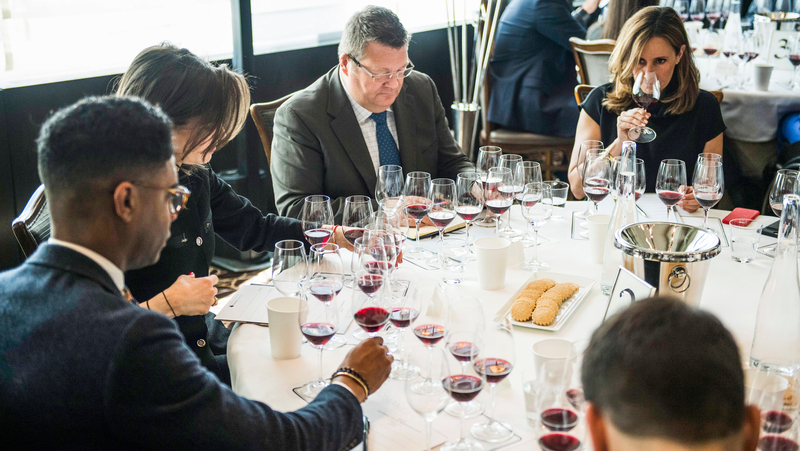 For example, 275 judges blind-tasted 16,903 wines for the Decanter World Wine Awards of 2018. Ultimately, more than 11,000 awards were issued, including 50 Best in Show medals, 149 Platinum awards, 439 Gold awards, 3,454 Silver awards, and 7,079 Bronze awards. With some 66 percent of participants receiving a trophy, the challenge is akin to field day at a preschool where everyone’s a winner. But the competition organizers are well motivated to encourage participation. At $200 apiece, the 16,000-plus entries yielded well over $3 million. Not that these competitions are cheap to run. The expenses include a year-round operational staff, maintenance of websites and social media accounts, advertising and promotional materials, travel and lodging expenses for judges, event insurance, competition-management software, additional staffing to assist during the event, and producing and shipping of awards. Left: The Sommelier Company. Right: George DeBoeuf. Whitley estimates that hotel costs per event, for judges, range from $25,000 to $40,000, and he spends an additional $40,000 per year on rent for his warehouse and office space. The four competitions he runs attract 100 to 150 entries each from across the U.S. and 20 countries around the world and cost brands from $85 to $95 to enter, per submission. 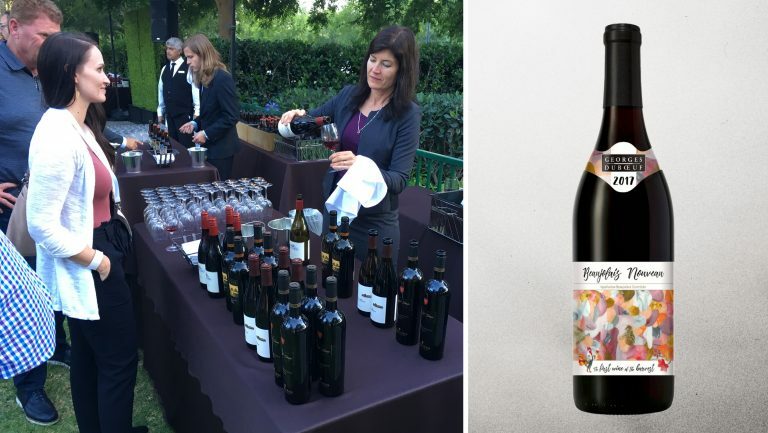 Wine competitions are a cost-effective way to generate shelf talkers for individual brands, but creating buzz for wine categories, varieties, and styles—as marketed in aggregate—is more often done through events. To increase ROI, trade events are often piggybacked onto consumer events, to provide an elevated trade experience that’s subsidized by consumers. One such event is La Nuit en Rosé, a festival dedicated to rosé that was launched in New York City by event organizers Pierrick Bouquet and Derek van Bakergem in 2014. The event has since grown to include offshoots in Los Angeles, Miami, and the Hamptons. 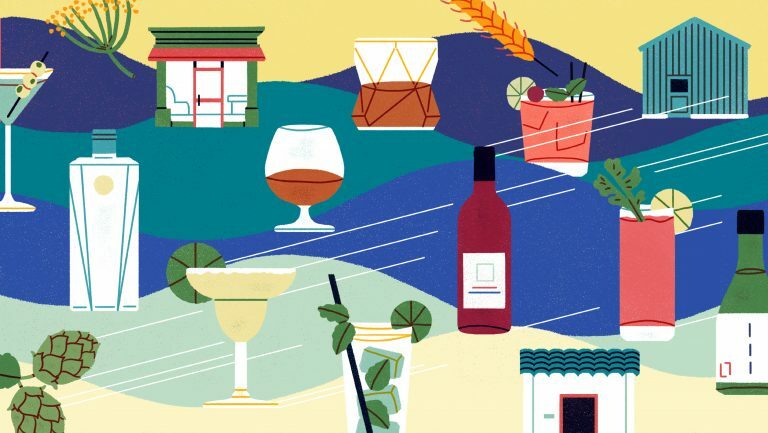 In New York, guests board a yacht on the Hudson River on which more than 100 wineries from around the world pour rosé; food from celebrity chefs is served, and there’s live entertainment. Putting on a similar trade event alone would cost upwards of $200,000, with wineries shelling out more than $15,000 to participate, Bouquet estimates. But funds from the consumer portion allow him to charge wineries from $2,500 to $6,500 to pour at the festival. It’s easy to see why members of the trade would want to attend, Bouquet says, and wineries invest in participating each year because they see real returns on their investment. “We have participated in the cruise since the beginning, and every year we have increased our level of participation,” says Aurelie Vix, the sales manager at Vranken Pommery America, which distributes rosés from Domaines Listel and Château la Gordonne. “The quality of the attendees is high; they are the actual decision makers. And it has led to several opportunities for our brands”—including, she says, a significant standing monthly order from The Knickerbocker Hotel in New York City. Innovative events can also have an impact, as the wine-marketing firm Sopexa found with its Chablis campaign. “We wanted to educate a new generation of influencers who may not be familiar with Chablis’s distinctive qualities, but we didn’t want it to feel like just another passive wine seminar,” says Sarah Moreau, Sopexa’s P.R. and content director. 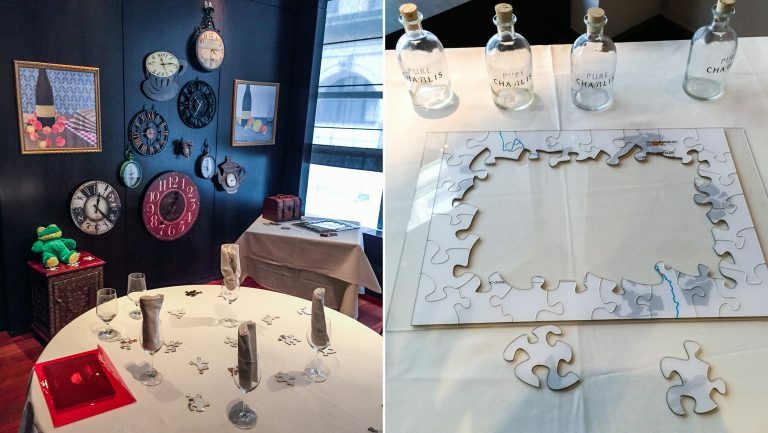 Instead, Sopexa created an Escape Room experience in New York in 2017 , where participants had to solve a puzzle based on clues about Chablis’s history and wine details to be released from the room. After “escaping,” contestants were rewarded with a Chablis tasting and dinner at the fine-dining restaurant Ai Fiori. Escape Room. Photo courtesy of BIVB Chablis. 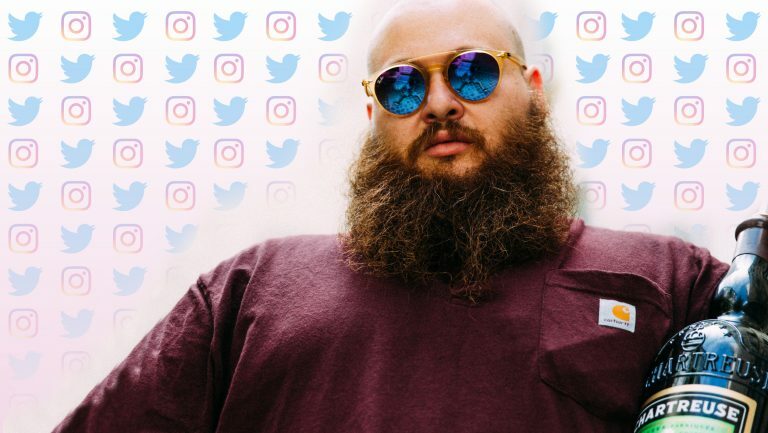 The Escape, says Moreau, earned close to 500,000 social media impressions, 12 press placements with an audience totaling more than 19 million, and a 252 percent return on investment. Sopexa has repeated the event twice this year, with plans for future Escapes in the U.K., Germany, and China. 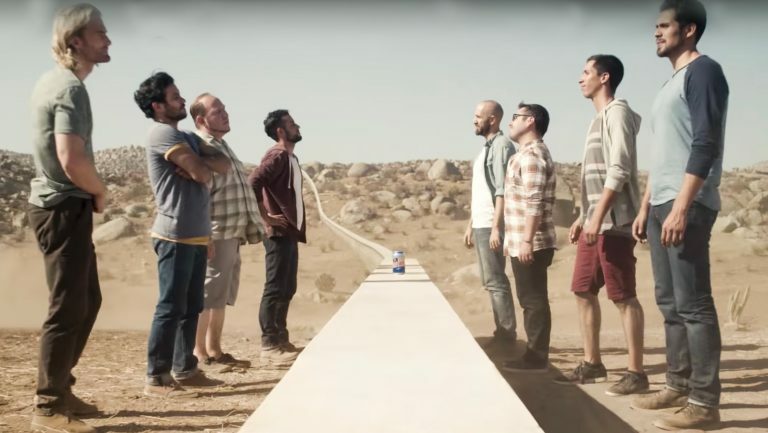 Another powerful tool for brands is competitions in which professionals vie for prizes. Take Heaven Hill’s Bartender of the Year Competition, where bartenders from around the country compete for $15,000 and the title of Bartender of the Year. While Heaven Hill, a distilled spirits company based in Bardstown, Kentucky, wouldn’t share exact figures, its brand manager, Elizabeth Hurst, says the competition accounts for a “large proportion” of its annual marketing budget. Heaven Hill sponsors the contest, which is hosted on Liquor.com, and contestants are required to choose from four of Heaven Hill’s brands for their recipes: PAMA Pomegranate Liqueur, Domaine de Canton French Ginger Liqueur, Elijah Craig Bourbon, and Rittenhouse Rye Whiskey. The competition comprises eight separate contests. In the first stage, more than 500 bartenders submit two cocktails: one rendering of a classic recipe, and another drink inspired by their family, with a description explaining the cocktail’s significance. Six finalists are selected for each of eight regional contests, from San Francisco to New York City. The winners of the regionals are required to make their two cocktails for a group of judges and to create an additional cocktail that the judges describe on the spot. Winners of the regionals get $1,000; second-place winners get $500. At the finals, they are judged on a full range of hospitality skills as they vie for the title and the $15,000. For the finals, held at The Lodge on Sea Island, on the Georgia coast, in June this year, Heaven Hill flew out the eight regional winners and hosted them for three days of contests, dinners, and sponsored activities, including seminars. Ultimately, Heaven Hill hopes that the participating bartenders, and the bars they represent, will make the company’s brands their go-tos in-house. “We review reports on how the sponsoring brands perform before and after the competition,” Hurst says, though she declines to specify exact figures because they vary significantly from account to account. She says that Heaven Hill’s sales increase at bars where competing and winning bartenders work. 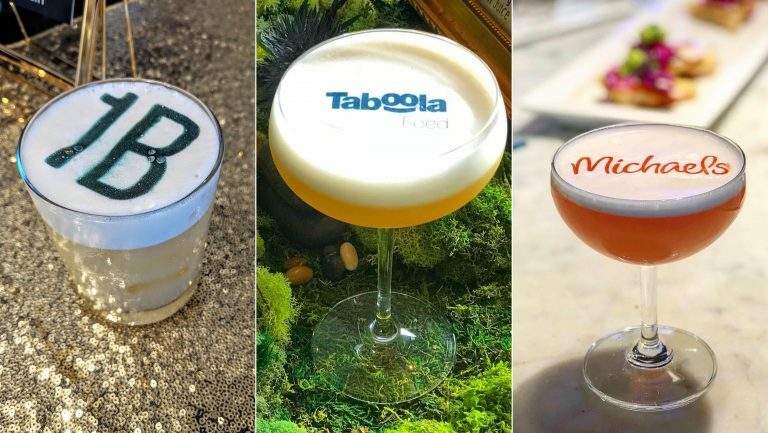 While there’s no magic formula for using events and activations to deliver a consistent return on investment, leveraging a sense of competition, exclusivity, and fun can help ensure buyer participation in events and contests—and ultimately drive sales for companies marketing to the beverage trade.